HBO Teases ‘Game of Thrones’ Season 8! 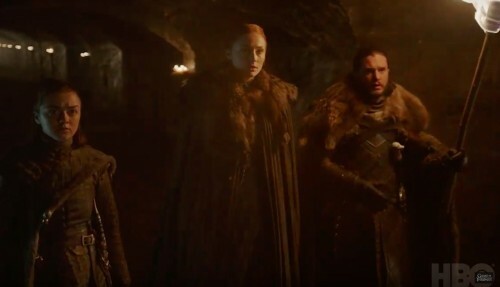 No new footage provided in the teaser, but the promo reminds us of the ordeal the Starks have suffered and the struggles still to come as the voices of Ned and Lyanna Stark speak to Jon Snow and Sansa and Arya Stark about…about…well, dammit, I don’t remember anymore! It’s been two years!